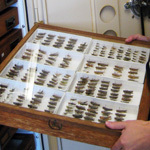 With the support of the National Science Foundation, the Entomology Section curated and databased the Gordon Alexander Orthoptera Collection (The Gordon Alexander Collections Improvement Grant). This collection is largely composed of 24,000 grasshoppers collected near the Front Range of Colorado. 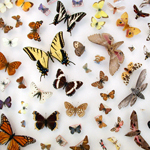 An important subset of these specimens was collected along an altitudinal gradient near Boulder, Colorado by Gordon Alexander and John Hilliard during the summers of 1958 to 1960 (Alexander and Hilliard 1969; see grant for citation source). We are currently resurveying the main collecting sites used by Alexander and Hilliard to determine how climate change and land use patterns may have impacted the grasshoppers of the region over the last 50 years. 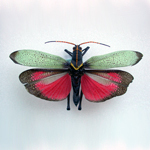 To further explore this new project, visit our Grasshoppers and Climate Change website.